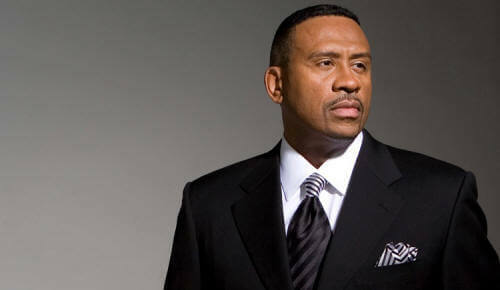 Radio personality, executive, and activist E. Steven Collins has passed away. Collins died late Sunday night after suffering a heart attack. Collins was a long time Philadelphia radio personality who began his career in the mid 1970's at 1340 WHAT and WDAS AM and FM. At 'DAS he moved from the position of news reporter and talk show host to becoming the station's news director and establishing himself as one of the most important voices in the Philadelphia African American community. Collins joined Radio One ten years ago and hosted a Sunday morning talked show. 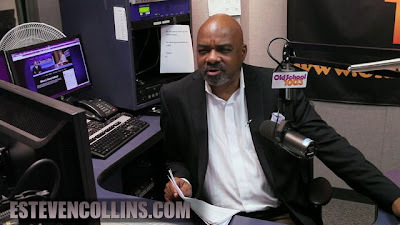 However Collins primarily worked off the mic and behind the scenes in management at the radio cluster that included Old School 100.3, Hot 107.9 and Praise 103.9. He main efforts outside of his job responsibilities went into working tirelessly for the community. He was a frequent guest on many national cable news programs, most notably on the MSNBC program, "Hardball with Chris Matthews." From Radio One Philadelphia WRNB Old School 100.3 -- Philly Icon. Radio Legend. Incredible Father, Mentor, and Friend. Often times these words are thrown around all too loosely. Not Today, and not when describing the life and legacy of Radio Legend, and Civic Leader E. Steven Collins. It is with great sorrow that Radio One inform the many listeners of E. Steven Collins fans, mentees, and friends around the country of his passing early this morning just after midnight at Chestnut Hill hospital from a fatal heart attack. E. Steven was surrounded by his family and close friends at the time of his passing. E. Steven Collins’ legacy transcends anything written in a biography or press clipping, and his name is by far one of the most well-known and respected names in Philadelphia broadcasting with a distinguished thirty-year history headlined by his passionate devotion to the community. Influence, power, esteem, loyalty, and respect all rolled up into one capital letter, “E.” as the world knew him best. E. Steven Collins devoted the past decade of his as Radio One’s Director of Urban Marketing and External Relations and the host of his weekly show, Philly Speaks on Old School 100.3 which regularly featured a distinguished panel of local & national guests each Sunday. E Steven Collins. Wow. A Philadelphia Legend. RIP. I just found out E. Steven Collins died a few hours ago. This is insane. I literally just heard from him Saturday. He was online last night. The brother @EStevenCollins meant so much to my city. He mentored, organized, and inspired so many of us. Such a beautiful brother.